Please have your beer steins at the ready. Alpine Village in Torrance opened the Oktoberfest season last weekend. 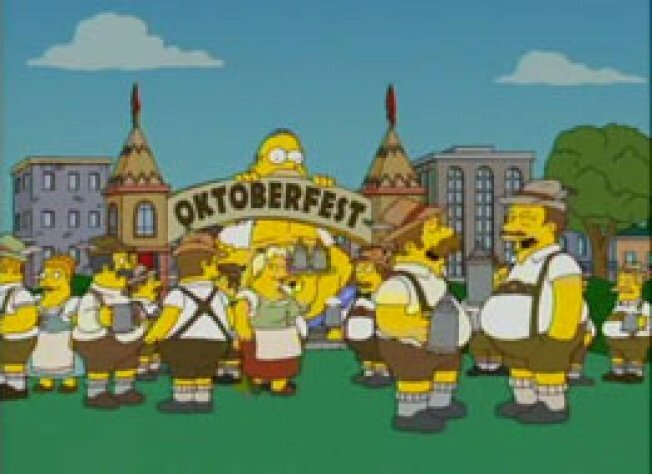 A Curbed reader emailed us last week: "I just saw an ad on KABC for Octoberfest in Torrance at Alpine Village. Didn't Curb recently document that the place was abandoned and had fallen into disrepair? Did it stage a comeback?" Well yes, and no. A call to Alpine Village reveals that yes, Oktoberfest started last week, but due to a lack of permits for the big outdoor tent, festivities were moved indoors to the Alpine Village restaurant. Nick Green of the Daily Breezereports that the chicken dancing will be limited to the restaurant while "final permits are sought from the county to allow the tent to be used." An astounding fact: "Last year, more than 1,600 kegs of beer were consumed at Oktoberfest - that's 176,000 pints of freshly brewed Alpine Lager..."